Japan's major crop is rice. It has been a traditional food in Japan for the longest time. Since McDonalds and many other corporations have expanded across seas, many kids have stopped eating as much rice and more hamburgers. Many of the elder Japanese people complain about how they are not eating healthy like they should be. Japan based their culture on that off mainly China and Korea. Two of the three major religions (Buddhism, Shinto, and Confucianism) were borrowed from China. The three major religions in Japan are Buddhism, Shinto, and Confucianism. Of the three only Shinto is native to Japan. Although Shinto is native to Japan, no one knows who founded it and it has no moral code. It mainly focuses on worshipping their ancestors, nature, and sacred spirits known as Kamei. Japanese clothing has changed drastically over the past century from the traditional kimono (very colorful robe that covers the whole body except the head) to the fashions of today. However, it is not unusual, today, to see one person wearing a kimono walking along with a person wearing jeans and a T-shirt. Japan listens to a lot of American music from todays Pop Rock to the 70's Classic Rock. Japan has there own Pop singers but Japan and Asia only know them because they do not feel comfortable singing in a different language. Japan is also a big fan of sports. They have many different kind martial arts competitions. They are also big fans of baseball. 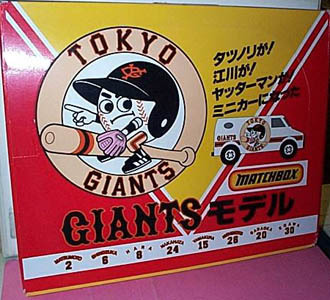 The most known Japanese team is the Tokyo Giants. About thirteen years ago they created the J-League that is their soccer league.